As all Civil War history buffs know, this year is the 150th Anniversary of the start of the Civil War, and with that milestone comes a multitude of commemorative events and activities. One such event that’s coming to Lancaster County, just 2 miles from the Historic Smithton Inn, is the PA Civil War Road Show. 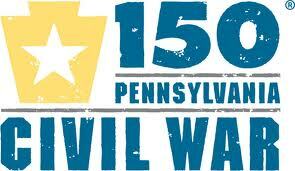 The Pennsylvania Civil War 150 Road Show is a traveling exhibition housed in an expandable 53-foot tractor-trailer created for Pennsylvania residents and visitors of all ages. From 2011 to 2014, it will travel throughout the Commonwealth (making stops in all 67 counties) bringing its interactive exhibits to each host location. Visitors will also experience related programs and performances under a Civil War-era tent. The road show features hands-on, interactive displays to tell stories that will be engaging for the whole family. From the original “3-D experience” of stereoscopes, to the voices of individual Pennsylvanians, to the scenes of camp and home life, visitors will be immersed in a new understanding of how America’s greatest crisis changed the lives of Pennsylvanians.